Loving father. Faithful husband. Professional contract killer. Haunted by visions of his violent past, professional hitman Alfie, spirals out of control. His work compromised as he reaches breaking point, Alfie is forced to defend his family from his ruthless employers. 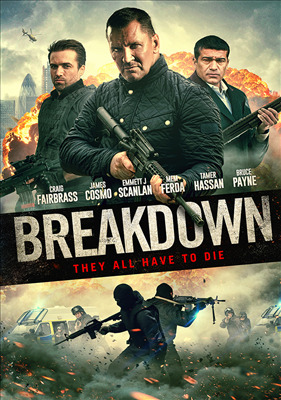 BREAKDOWN follows the story of one man's degradation and his subsequent comeback after his family comes under threat.